Submarines present amazing solutions for many purposes not least for science and exploration purposes. Carrying out any type of work, observation or the like under water comes with a number of challenges, many of which are quickly and efficiently removed by the use of Submarines. Using conventional SCUBA diving method an observer would not only have to be SCUBA diving trained, but would also have to endure possibly extended times under water, coupled perhaps with going fairly deep, which then leads to decompression obligations. As a SCUBA diver you would then additionally need to bring with you all the equipment and not least gasses you would need to safely carry out your mission. Stay under water for any extended period of time, and you will soon lose a lot of heat and be subject to freezing. Communications under the surface is typically challenged at best and ensuring all dive buddies are on the same page at all times demands mastery. But with a submarine you eliminate many of these hazards and sources of discomfort and stress. In the submarine you can comfortably sit and carry our your observations for extended times if you so desire, suffering from no loss of heat, and incurring no obligation for long and tedious decompression schedules. You can make great notes in your notebook or computer. You can capture the images that you need and you can maneuver around where you wish. You can communicate with your colleague or submarine captain and you can even communicate with those topside above the water surface. You will stay dry and in comfortable temperature and you will benefit from the huge advantage that regardless of how deep you ventured or how long you stayed at depth, you will have to endure no decompression scenarios, nor have to master amble loads of equipment and ranges of different breathing gasses. 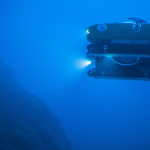 Whether your mission is that of research, or you are on a search and retrieve assignment or something else, submarines offer you so many great advantages. Now of course there are also a few draw backs. The first being that you typically won’t have your own submarine handy. Submarines are expensive and they require even more expensive platforms to make any use of them. You will need a vessel large enough to carry your submarine to designated spot of diving, and then you will need a hoist system strong enough to deal with the size and weight of your submarine. 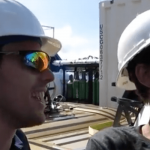 In addition you will need skills and not least a team of people who all know what they are doing and can handle matters of submarine utilization. But this is where the charters come in. Specialized operators who are experts at such submarine operations are available for hire for your mission. 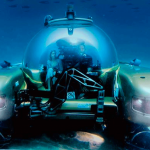 In the past few years, it would appear a growing interest for the underwater world has formed and that the availability of submarine charters including full platform necessary for such operations has become more available. Still a small niche industry that requires high levels of skills and specialized education along with rather hefty investments, there are not that many who can do a great job for you. GlobalSubDive is one of the providers that can though. 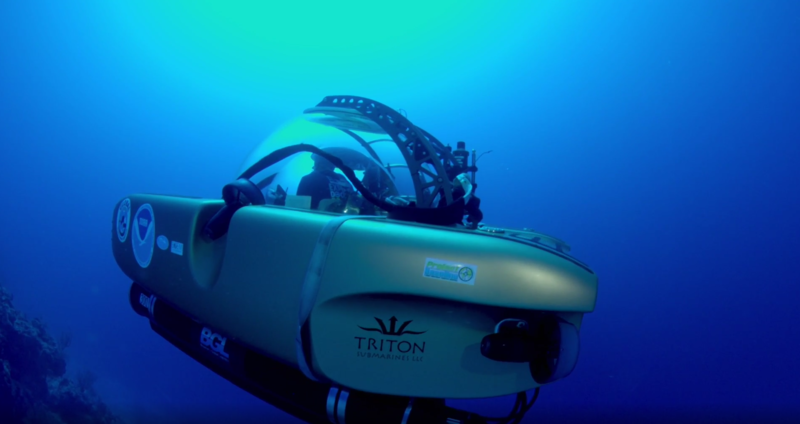 Established just a few years ago, but drawing on lifelong experience in a vast range of underwater activities, GlobalSubDive offers the perfect platform for all underwater exploration, science projects or other. Currently utilizing an exploration grade vessel named Baseline Explorer, its 146′ perfectly holds its two Triton submarines, has a huge A-frame for hoisting them into and out of the water, an additional crane for all your other vehicles including tenders etc. Its flexible configurable deck has amble room for all the other equipment that may fit well in with underwater operations, and typically is configured with its own decompression chamber, full container stuffed with all sorts of professional SCUBA gear, including underwater scooters or propulsion vehicles, dive tanks, rebreathers etc. 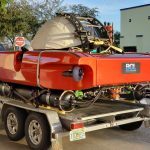 No SCUBA or submarine diving without compressed air, so that is taken care of by several compressors including a state of the art NitroxMaker from Brownie’s Marine Group. Several expert submarine captains on board ensures you are in great hands and all personnel is optimally chosen and trained in relevant areas of expertise, tools and operations. Collaborating with Global Underwater Explorers, even some of the world’s best divers can accompany your mission and carry out challenging dives at depth for you, where submarines may not be able to complete the assignment on their own. 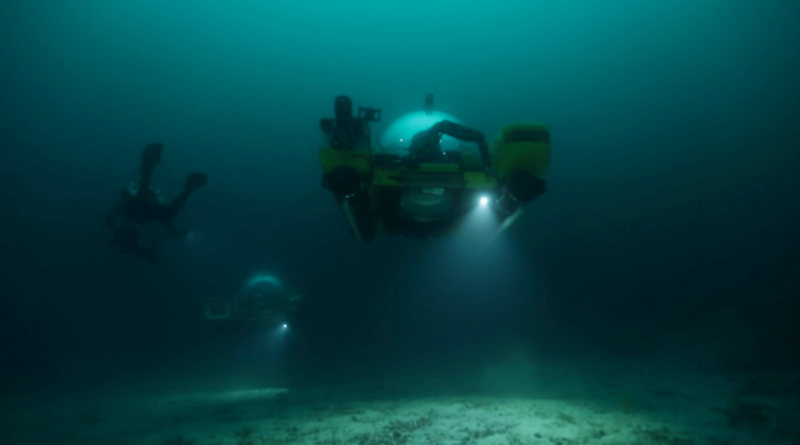 More often than not, this combination of underwater vehicles and tools, including submarines, and world class SCUBA diver teams is what makes the missions successful and this is one of the key areas in which GlobalSubDive excels. GlobalSubDive has already carried out a number of highly important missions, including several scientific explorations and researches, spanning the waters of the Gulfstream around Florida, the Bahamas and more and all the way over to the Mediterranean Sea. 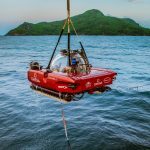 Missions have included scientific observations and explorations including findings of valuable and rare coral growth, observing and reporting of negative effects of human activities, discovery of ancient amphoras of thousands of years of age. Search and retrieval assignments, film assignments and so much more. More interesting missions are already planned and are currently being prepped for, so be sure to stay tuned (better yet, sign up for our updates). And when you are in need of submarine operations, be sure to call on our service. We are ready to serve you, so you will have a successful mission and a more than excellent experience.